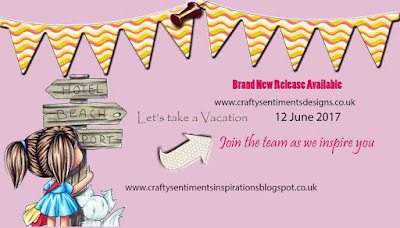 We start with the new releases at Crafty Sentiments Designs Inspiration Blog. Don't forget to go to the blog to see what others have done with this cute new stamp. It is called Hotel Resort and it will be available at the shop soon. The stamp is colored with copic markers. 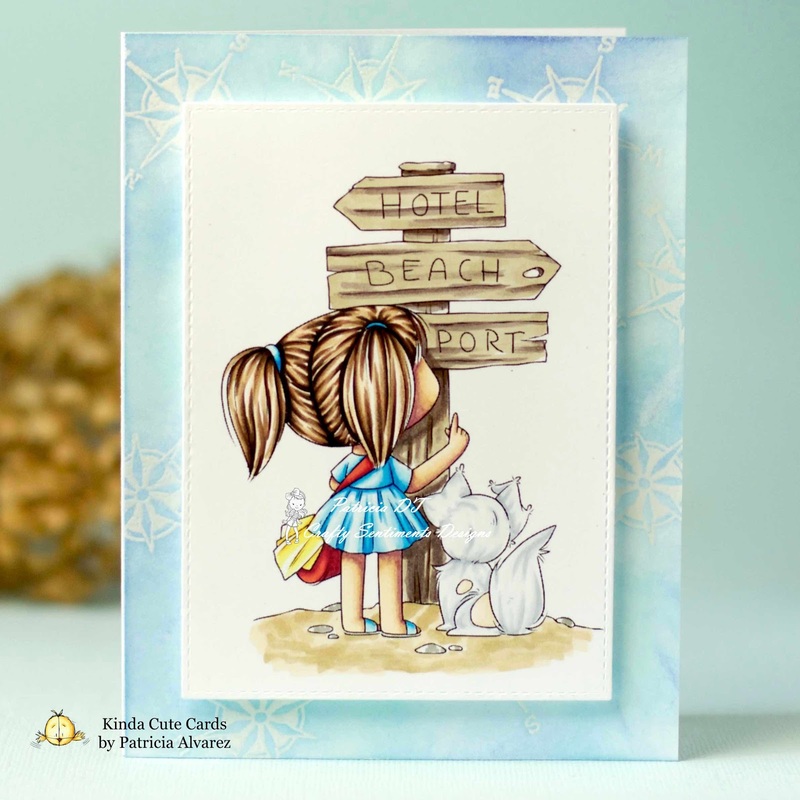 The background is made with a clear stamp from Stampendous, Versamark ink and clear embossing powder. I added distress inks to make the effect. The front panel is cut with a die cut from My Favorite Things and it is raised from the card using foam tape. I hope you liked the card and the stamp. 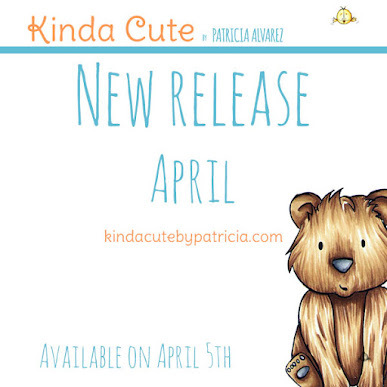 What a cute image, Patricia! Love your pretty background, too! Thanks for joining us at the Simon Says Stamp Wednesday challenge! very nice. Thanks for joining us at Artistic Inspirations Challenge Blog. Very pretty. Love the soft color palette. Thanks for joining the Crafting With An Attitude challenge.